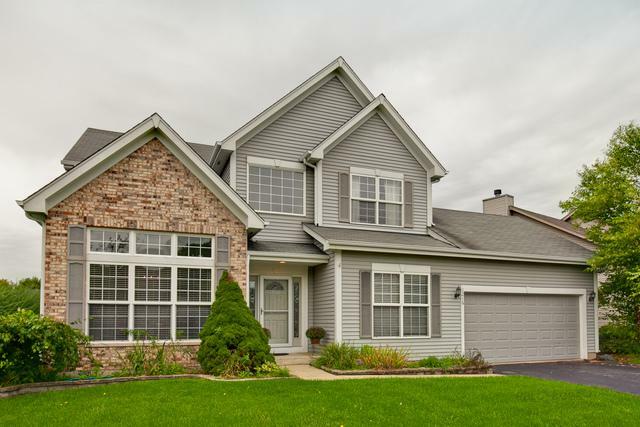 Welcome to desirable and conveniently located Willows Edge in highly regarded Crystal Lake School District! This 4 BR Willow model with finished English basement! Living/dining room feature 11' ceilings which give you that open and bright concept! 42" cabinetry in kitchen with ample counter space and pantry closet. Wood floors in foyer, kitchen, and breakfast area. Family room is open to kitchen and features beautiful fireplace! Master Bedroom will accommodate "master-sized" bedroom furniture! Nice big walk in closet! The finished English basement gives you great entertainment space, office, & multipurpose area along with plenty of storage!You will love the maintenance free deck! Main floor laundry room off of huge garage! You will be surrounded by multiple parks, paths, and recreation! Crystal Lake and Three Oaks Recreation nearby for boating and fishing! Randall Road corridor for all your shopping needs! Don't miss out on this great opportunity! Close before the Holidays! Sold by Hometown Real Estate.